I had to post a quick link to a book, called Holding On. I have to say that it is without doubt on of the best books of any description that I have ever read. As I may have mentioned previously, I have bought a few (well about twenty actually :)) books on various Everest and other Seven Summits expeditions, to try to satisfy my appetite for all things Himalayan etc. The thing which characterises many of these books is that they they are generally written by people who a.) clearly never intended to write a book in the first place, b.) have egos bigger than some of the mountains they climb, and c.) obviously aren’t the most enthralling of authors in the first place, and I am being kind. Take ‘The Climb’ by Anatoli Boukreev for example. It’s subject is the 1996 Everest disaster, and whilst the subject matter enthrals me, it is without doubt one of the most dull books I have ever read. It’s writer, whilst undoubtedly one of the most outstanding climbers on the planet, and also undoubtedly a hero in many respects, should really have stuck to the knitting in my opinion. There are many more of that ilk, but this one, Holding On, is absolutely special in every respect. 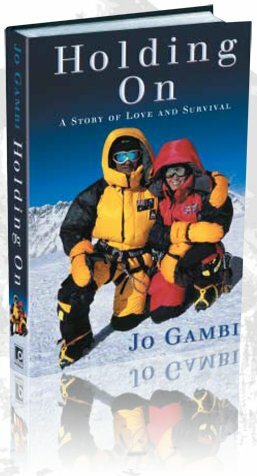 It is about husband and wife team, Jo and Rob Gambi, and their adventures in (successfully) attempting the Seven Summits and the two Poles. Their story is quite remarkable insofar as it is one inspired by, and in many ways driven out of, Rob’s two near fatal bouts of cancer. Jo and Rob obviously love each other more than life itself too, and so the book could have been a.) badly written, b.) overly labouring of Rob’s obviously horrendous experiences, and c.) a lovey dovey love-in, and less about the overall experiences they faced. Not only is it none of the above, it is quite simply brilliant in every respect. It does what a truly great book should: it gets you really involved with the characters in the book, even (and in fact especially) the bit part players; it keeps you turning the pages wanting more; it plays on your emotions such that you smile when the characters are happy and you want to share their tears when they are sad. 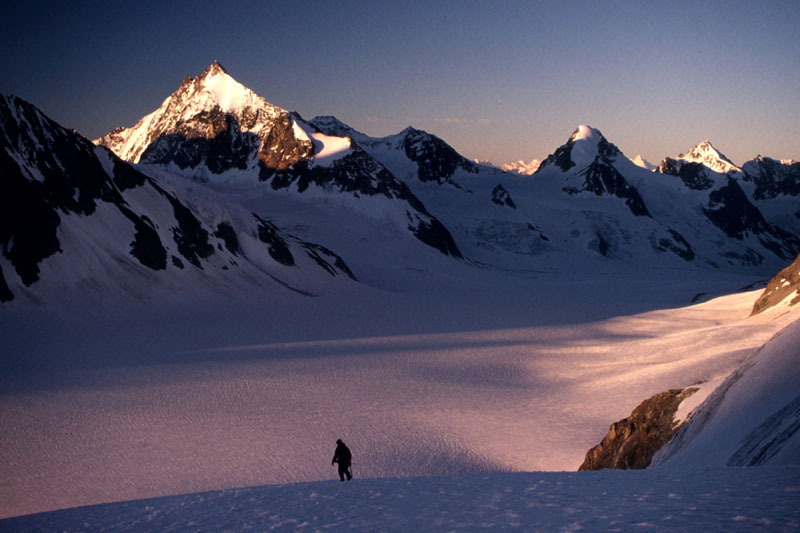 Most of all, it actually crosses genres – many of these books about mountains are great if you are into climbing, because you have a thirst for knowledge on the subject matter. But this book is about so much more. It is about life, vitality, desire, emotions, hunger, compassion. It also entertains, and it educates on so many levels. I’ll be taking a few more books with me into the Alps tomorrow incidentally. I have to just choose between the other nineteen or so that I have, and hope that I get close to enjoying any of them as much as this one. I won’t, I know that for sure. Priceless, and thoroughly recommended – go and buy it, I’d say! 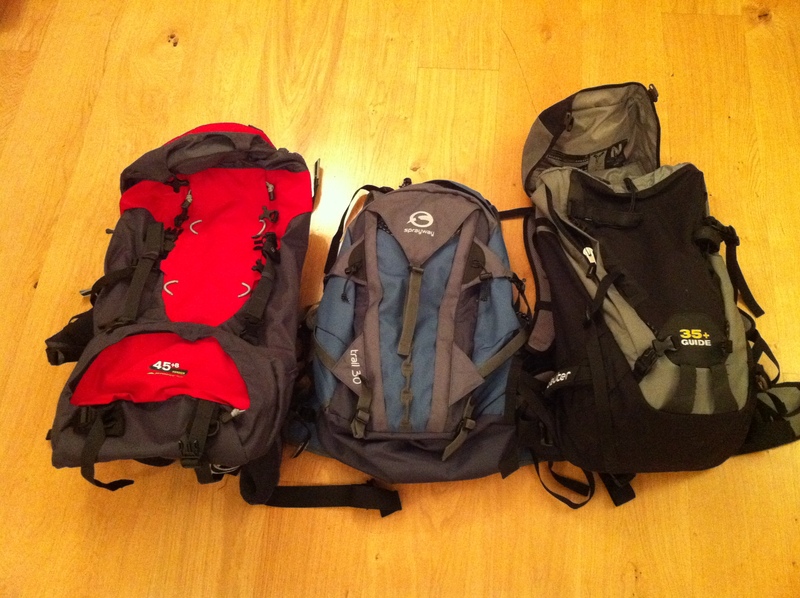 One of the slightly frustrating things about doing the jaunts that I am doing is just how much kit you need for each one. The even more frustrating thing is that the gear almost never overlaps, and so you end up having to buy new stuff almost each and every time. Take boots for example – I have a very good pair of Meindl Burma Pro which I took to Kilimanjaro, and they are totally outstanding. When I go to Switzerland in two weeks time however they will be redundant, as I need to have “B2” (i.e ones which take a particular type of crampon) boots. When I go to Island Peak later in the year I then need “B3” boots, and so will have to go shopping once more. This all adds up when B2 and B3 boots are upwards of £300 a pair. I realised today that as I have effectively only one weekend to go before my Swiss trip that I had better get my shopping list taken care of. I have just had a busy week where I was in Dallas on business, and then tried to get prepared yesterday for next weekend’s cycling ‘sportive’ – a 129 mile timed ride through Hampshire and Wiltshire called the ‘Magnificat’, with about 2,000 people taking part I believe. I therefore cycled about 60 miles or so to get the legs back in trim. So today armed with the Jagged Globe “things you must take with you” list (I ignored the “nice to have’s”) I went off to various outdoor places and emptied my wallet in most of them. 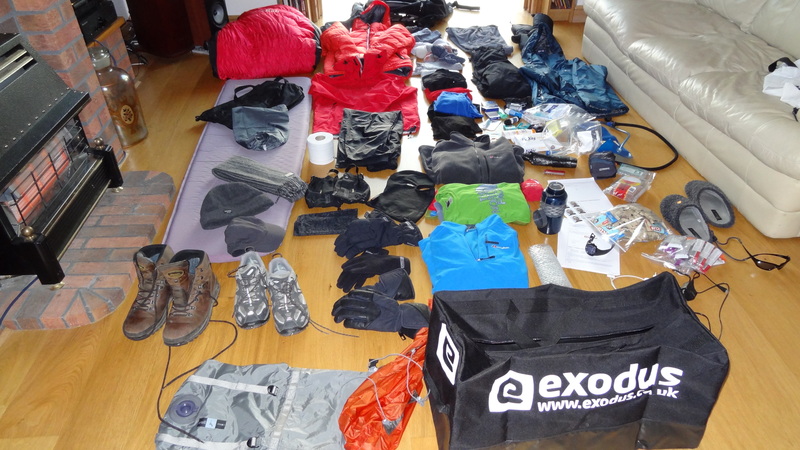 I had to get ‘mountaineering trousers, Schoeller or equivalent”, a ‘prussik rope’, some glacier glasses, some short gaiters, a crampon bag, climbing gloves, and all manner of other things that I have just never had need nor use of before. With some of the more technical stuff (ice axe, helmet, crampons, long rope, belay equipment) I get to hire those whilst out there, otherwise it would have been an even more horribly expensive day. Each of these things took time to buy. When you are as naiive as I am, and you walk into a shop asking for prussik, you had better hope that the person you are asking knows what they are doing, as I couldn’t have explained or clarified for them if they had asked me one single question further! As it turns out I still got mightily confused however – my equipment list for example went on to (thankfully) elaborate “3m of 6mm soft cord” next to the word “prussik”, and so I thought I would be ok. The guy who helped me however said “are you sure? That’s way too long for prussik – don’t you want two lengths of 1.5m?” How the heck was I supposed to know?!! I came away with one length of 3m, and he helpfully showed me how to tie a prussik knot. I suppose I can chop this length in two if I need to shorten it right? So as I write this I am actually on a treadmill. Strange but true! I’m obviously not running, but walking at 3.5mph, which is apparently the recommended training walking pace that I read somewhere or other for Himalayan training. For yes, indeed, the training for Island Peak starts today! I have been dithering and procrastinating (yes, me!) for a little while as to how and when to commence this. Part of me said that I can wait a while, especially as I am currently cycling around 100 miles a week (on the good weeks that is :)), but then training for altitude walks is altogether different, and the last thing I want is to get half way up Island Peak in October and think that I really wish I had pushed myself harder. I know that I have to walk up a 55 to 60 degree ice wall to get to the summit ridge on Island Peak, and that will be when the legs are screaming, and with so little oxygen at 21,000 feet or so, that’s when I want to know that my legs don’t let me down. And then I looked at a few suggested training programmes online. They are all different to varying degrees, but not one of them suggests that you should start training less than six months before you go. I then looked at the calendar – just over four months to go – wow, got to get a move on, and now! So my training programme will at a high level be to almost forget about the cycling and to concentrate on the gym. This is a shame in a way, as with the summer months upon us (even if the current weather is horrible – wet and 25mph winds, temp 13c/52f) I’d much rather be out on my bike than in a hot gym. And I hate treadmills, they bore me beyond belief. And a few weights, bent rows and the like. The idea is to get a combination of aerobic work, leg strength, and core. The core is crucial, lower back and core take a pounding and especially as for the last few days before the summit we will be carrying all of our own equipment. I have decided to try to do the pull ups, even though I am utterly hopeless at them. My legs are pretty strong at the moment but my upper body is very weak, so I need to improve things for sure. And so at the end of a good and long gym session (I’m back now, knackered), I feel great. I also know that I have a long long way to go, and am so glad to have started today – it will get me more focussed and determined to achieve my targets. 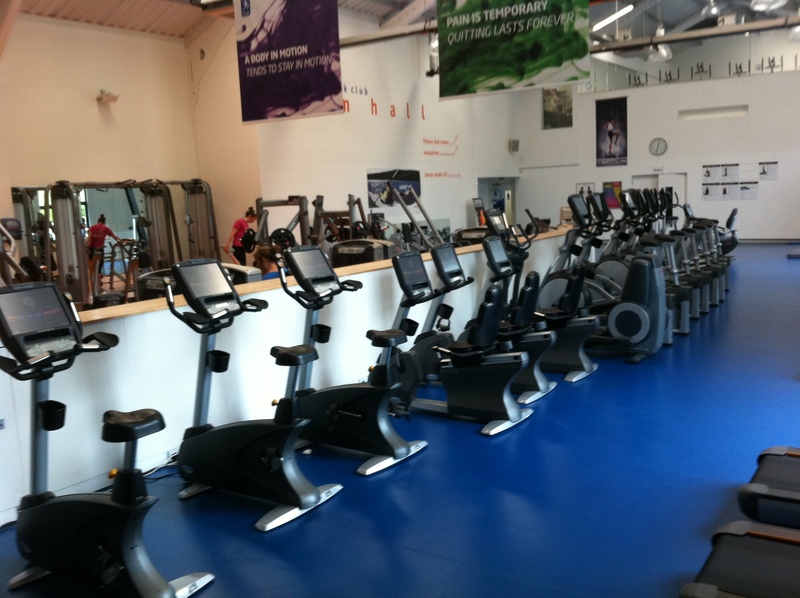 The gym was deserted too, which is nice. I managed just three pull ups, which is embarrassing I know, but I write it here to hopefully remind myself of how hopeless I was when I look back in a few months time. Maybe I will get worse of course :o. 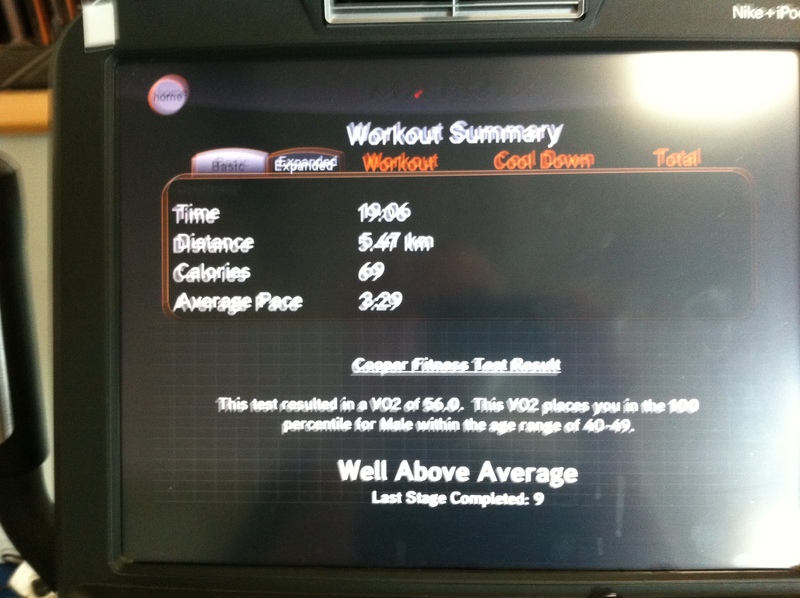 The rest of the exercise was fine, and I did about half an hour on the treadmill, probably a record for me! I also did about 50 sit ups, the plank, and even went for a swim afterwards. So if I told you that I was now delighted with a score of 56 it would be the understatement of the decade. A little climbing in Switzerland anyone? OK, so three days ago (or was it two?). I think I decided that I wanted to go to Everest Base Camp. In fact I did decide just that. But then I decided that just getting to EBC wasn’t going to be enough, and so I had to ‘throw another mountain in there somewhere’, as you do:) That’s what got me to thinking of either Island Peak, or Mera Peak (see last blog post for details). And I got to those two because of all the trekking companies that I have googled, those two trips just appeal the most. Both are higher than Kili, both get me views of the highest mountains on the planet, and both let me climb to a summit. I get that incredible, outstanding rush of adrenalin, achievement, satisfaction, happiness, that getting to the top of a mountain gives you, or gives me at any rate. I have looked at four different companies to get me there, and all seem great. They are, in no particular order; Safejourneys, Jagged Globe, Exodus, and Responsible Travel. Each has a tweak or a twist to this and that, but pretty much any of them will get me to where (I think) I want to go, and at the time I want to do it, which is in the next available weather window (i.e when the monsoon passes) which is October/November time this year. I have emailed or spoken to each, and they have been very responsive and helpful. In each case one thing is apparent – Island Peak is not for the novice. It is classified as PD+ in mountaineering parlance, and needs the use of jumars, abseil devices, ice axes and crampons. These are beyond me altogether right now. Not wanting to be beaten however, I thought therefore that I would ask if there was a way that I could take a crash course or something like that. And lo and behold there is….. Which brings me back to Switzerland. I was told by one of the aforementioned companies (in fact it was Jagged Globe, they have been great), that if I was to take their Alpine Introduction course in Switzerland, that they would let me go and climb Island Peak with them. And before you get cynical here, and think “they’re just trying to make extra money out of people”, actually that’s not the way it happened, so I should explain that differently. I, in fact, asked all the questions here, and asked their permission, as opposed to the other way round. – Route finding and navigation. – Roping-up and short roping techniques. – Appropriate ice axe and crampon technique. – Movement on Alpine terrain (rock, snow and ice). – Mountaineering on routes graded Alpine F to PD. I get to climb a few 4,000m peaks along the way apparently (sounds easier said than done of you ask me), and in 8 days I hope to learn a lot. They have also said that if I want to ‘take my fixed-line equipment with me’ (oh yeah, I’ll just grab it out of my drawer I said) then they will teach me those techniques whilst there too. You see, they don’t do fixed line stuff in the Alps, apparently. My God I have so much to learn, and so much to buy! So anyway, the point of this is that I am booked! 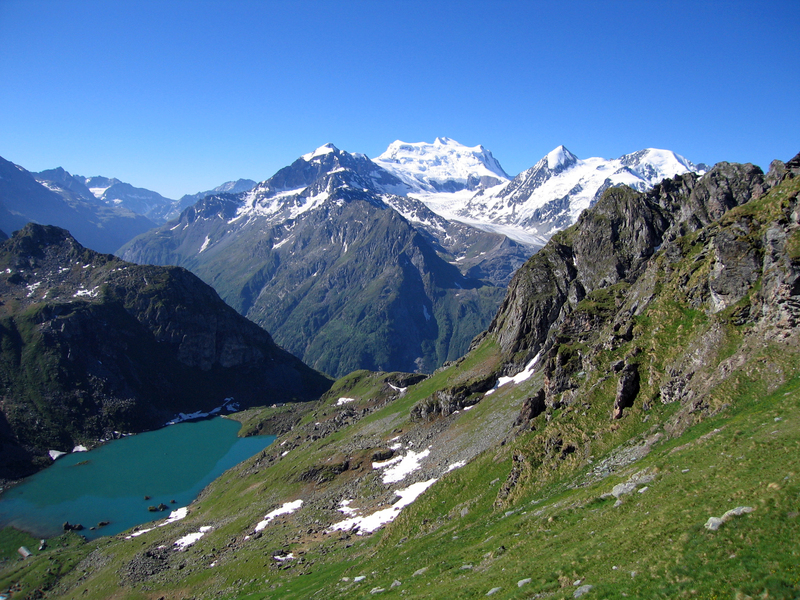 18th of June it is, off to Arolla in Switzerland. Exciting, it is 🙂 I should get all of the details in the mail tomorrow. Meantime I have a 60 mile bike ride coming up in four days time to distract me, which I am really looking forward to. It is my first ever ‘Sportive’, and I want to go and raise a few quid for Breast Cancer, which is the main charity for the ride, which is ‘The Classic Oxfordshire’. It’s all go, it really is…………. It would appear that one of the things about Everest Base Camp (let’s call it, as most people seem to do, ‘EBC’ for short) that frustrates you from the very off, is just how to do it in the first place. There just appear to be some pretty large and complicated decisions to take. The two biggest issues, for me at any rate, are the time it takes, and then what to do alongside it, if anything. Let me explain further. As regards time, a trip to most mountains, even Kilimanjaro, isn’t going to devour 90% or so of your annual holiday allowance. Everest on the other hand does – the shortest trip I can find anywhere at all takes 18 days, and so there is three weeks holiday gone right there. Some trips are longer. 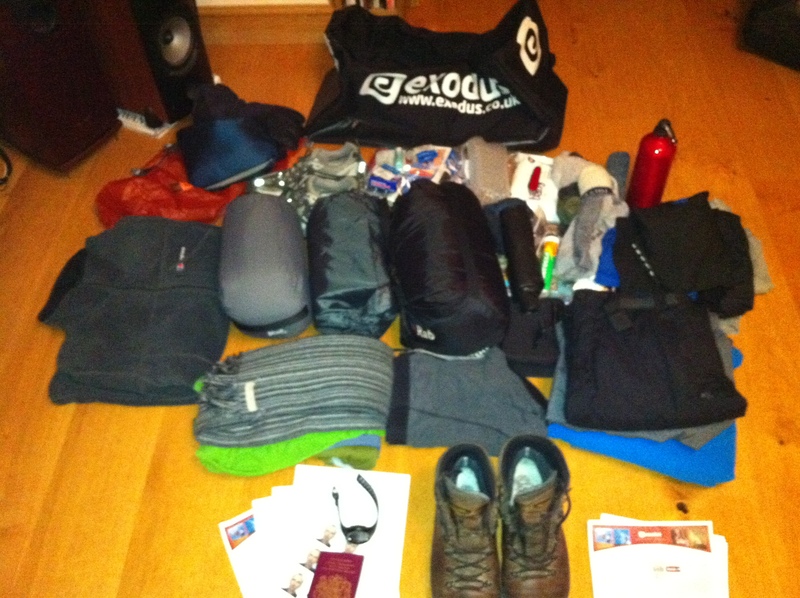 Kilimanjaro, even allowing for travelling each way to Africa, is just a 10 day jaunt. You could do say Mont Blanc in four. You could even do probably three or four of the other Seven Summits in no more than 10 days, and that includes summitting. With EBC you don’t even do that – you just trek a long way to a pretty desolate rocky campsite (OK, so just not any desolate rocky campsite :)), and with no view of Everest even from there. I think that is why it is to some people a little frustrating. More of the time factor later however. Now as regards the “how” – take also two of my friends for example, one of whom has been there, and the other one who wants to go. The one who has been (whom I shan’t name) is delighted by the whole experience etc etc, but really wished he’d gone to Annapurna, for better trekking and better views. The other, whom I shall call Paul (which is his name after all :)), wants to go to EBC, but would find the thought of not being able to climb it (i.e. Everest itself) very frustrating indeed, and I empathise with that totally. That is, after all, what mountains are there for. He’d also like to see Annapurna (and who doesn’t! ), and would prefer to combine the two. Trouble is that would take even more time (they are not exactly next door to each other even if they are both in Nepal), and so for me that means it is Everest and Everest only….. So anyway, I could do Mera Peak probably, even though it is around 1,500 feet higher than Kilimanjaro. Island Peak, although a little lower, is a different ballgame for me. You need fixed line experience, and jumars, and ascenders, and cow’s tails, whatever they are. I haven’t got the skills it seems, and that means that they are probably going to make it impossible for me, unless…………….more in a later post on that one, I’m not being beaten yet! And of course to do one of these two little sidebar jaunts adds another four days on to your trip. So instead of 18 days, it becomes 22 or 23 days. Does any of this put me off? Not on your Nelly!! More of these deliberations very soon, including an interim climbing (yes really) trip in the offing to Switzerland. I must be mad…….